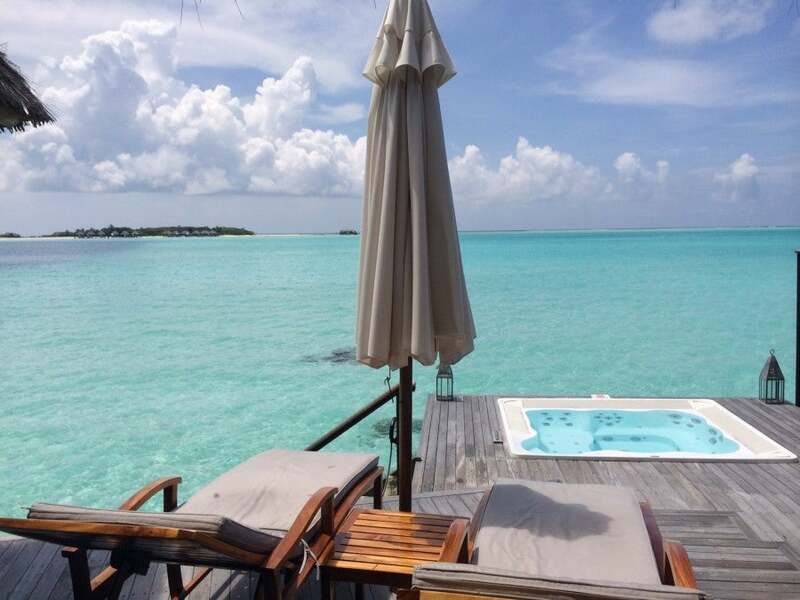 If you’ve been following me on Twitter, Instagram or Facebook, you probably know by now that I’m currently in the Maldives at the Conrad on Rangali Island. I’m staying on pre-devaluation Hilton points and also two free nights from the sign-up bonus on the Citi Hilton Reserve card. Bottom line: Yes, this place is far away and expensive, but it is absolutely magical. I paid an extra ~$500 a night to upgrade to an over-water bungalow that has a spa treatment room and I’m very happy I did so. Can’t beat the view from my spa suite. I don’t want to spoil my detailed hotel reviews that are coming, but bottom line is that I now understand what the hype is about. The internet here is painstakingly slow, so I’m going to keep this post short. To follow me on this trip (I’m also off to India and Dubai later this week) so make sure to check out my pictures and videos so far on Instagram and Twitter. Apologies in advance if they are over the top- hard to take low-key pics here!